New York Tech Job Fair 2018 is a chance for job seekers to talk to companies that are hiring in person. If you’ve had enough of submitting your CV online without the opportunity to make a lasting first impression, here’s your chance to change your strategy and do a bit of networking. Appical - Onboarding is a crucial phase for a successful collaboration between employee and organisation. We continuously develop innovative ways to improve that process. SkilApp : On-Demand Uber like service which helps users to connect with real professionals to help face job interview /get trained / post job support / career advice. INNOVATION DEPARTMENT - A technology and investment company that creates and develops E-Commerce, Media and SaaS companies. Tenna customers find new discoveries, plus more insight, opportunity and value from superior asset management solutions every day. thelighthouse is a peer-to-peer platform that connects a global community of young people looking to support each other at each stage of their professional lives. Alice App - Connect every department of your hotel with one platform for all staff communication and guest requests. Envested is a software tool that enables connectivity and promotes meaning across workplaces. We help employees connect with coworkers and grow their internal networks, and we help companies build a culture that "sticks." Landis is a company that allows investors to source and acquire portfolios of single family homes. The company uses advanced data science and machine learning to sources off-market portfolios and match them with relevant buyers. My Wellbeing - We are a community of therapists and mental health advocates in New York City, here to help you understand what therapy is and how therapy can help you. 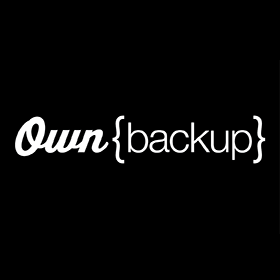 OwnBackup believes that no company operating on the cloud should ever lose data. Taskade is everything we’ve ever wanted in a team productivity tool. The premise for Exago's success and yours is simple — adding powerful, flexible, self-service ad hoc reporting, dashboards and analytics to your application results in more sales and happier customers. TILTING POINT - Your business. Our capital. Scale your game to the next level with our risk-free funding, expert team and proprietary technology. BlindData is an innovative recruitment and assessment platform for software engineers. Their services are available to talented programmers, companies for direct hires, and recruiters for placement of candidates. Learn more at blinddata.com. WishPoints is a social referral and rewards platform connecting travel wishers, pointers, ambassadors, and vendors. 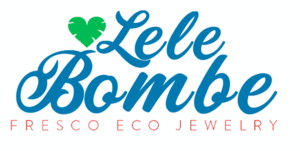 LeLe Bombe is a labor of love, born from a passion for travel, our ancestral roots and our appreciation for handmade crafts of the Andean region. SquarePeg is a job matching service for both employers and job seekers, which aims to bring better predictive data to job search, reducing reliance on resumes, referrals and job posts. InvestED empowers underserved populations in emerging markets with free phone-based e-learning linked to inclusion initiatives and the SDGs. Advanced Resources: Our mission: By placing our team, clients, and talent first, every day we make a difference. At Jobbio we combine a beautiful careers marketplace, advanced job marketing, talent matching and employer branding with the world’s first live talent management platform. Hire the right Talent quickly and cost-effectively. CBS NEWS - 60 Minutes - The most successful news magazine in TV history, offering hard-hitting investigative reports, interviews, feature segments and profiles of people in the news.